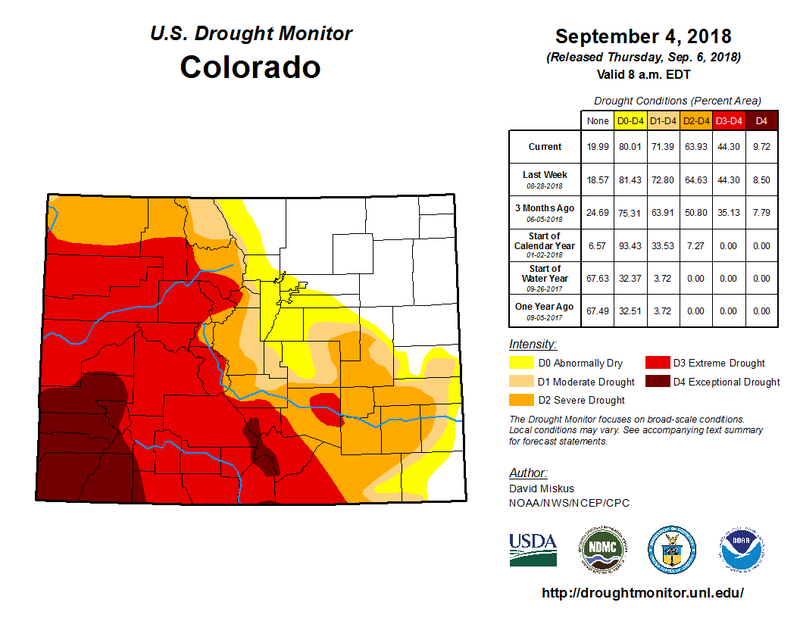 Colorado Drought Monitor September 4, 2018. The earlier-than-usual spring runoff this year fast-forwarded the rivers usual levels by around six weeks. “We didn’t have snow melt for sustainable flows for very long,” [Lani] Kitching said. A few years ago, El Niño sparked frequent snowstorms in southern Colorado. To be specific, we were under the influence of El Niño between fall of 2014 and summer of 2016. That El Niño period was the strongest on record. People we talked to during that time said the crazy, snowy weather just comes with living in Colorado. 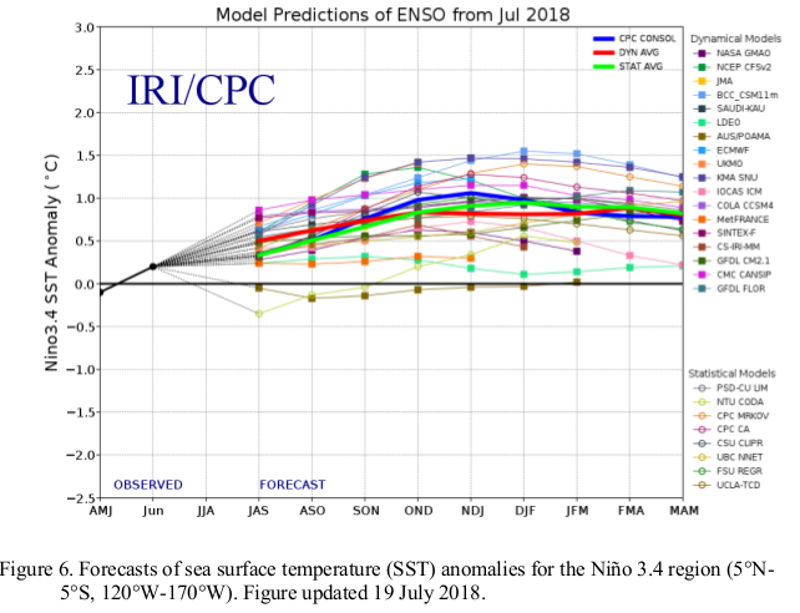 The last two years – 2017 and 2018 – we’ve had two La Niña cycles. That meant we dealt with above-average temperatures, drier weather and lots and lots of wind…not to mention high fire danger. In the next few months, we have a 60-70 percent chance of El Niño developing. So what exactly is an El Niño event? When an El Niño pattern develops, the trade winds near the equator slow down and reverse the flow of water across the Pacific. The warm water in the Pacific Ocean moves east toward the coast of South America. This has major implications on the Americas’ weather. An El Nino event brings more precipitation to the southern parts of the U.S., including southern Colorado. Meanwhile, drier conditions and warmer weather are forecasted in the northern portions of the U.S. during the winter. A note: the first part of the winter can be dry in an El Nino pattern with the latter part becoming more active.